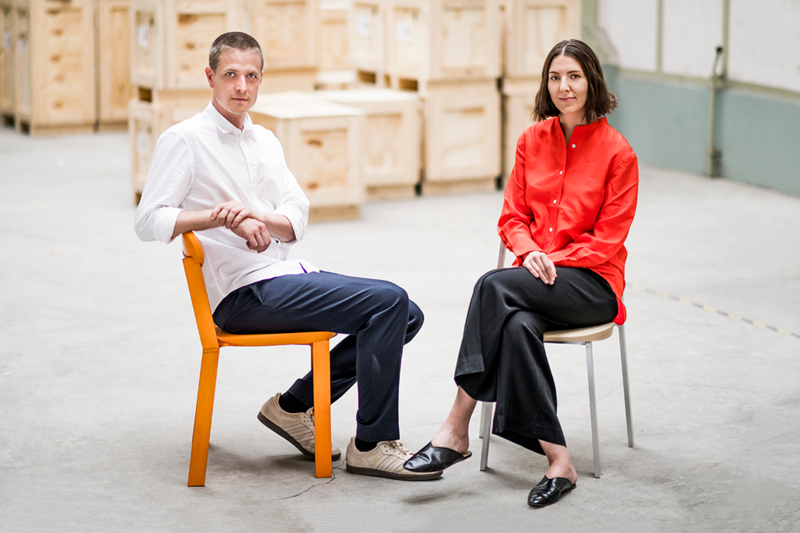 Proving that Australian designers are a global force to be reckoned with, Kate and Joel Booy of Studio Truly Truly have been announced as the Guests of Honour for imm cologne 2019. 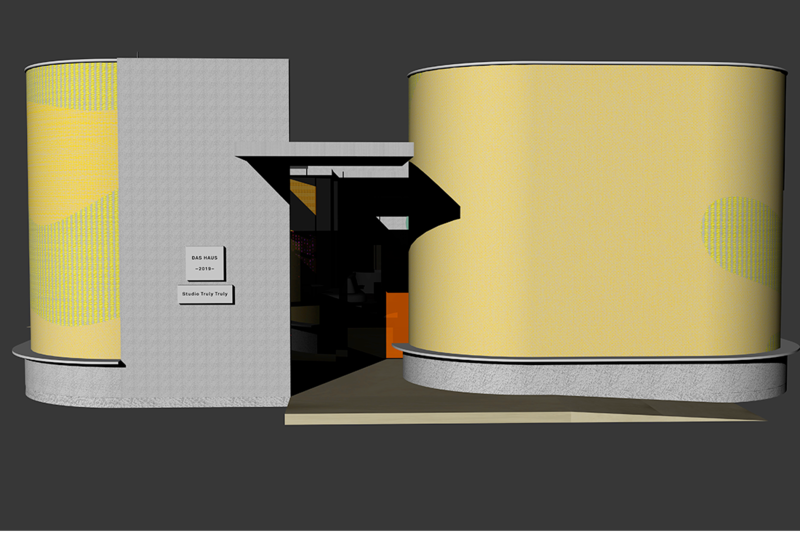 Render of 'Das Haus' for imm cologne installation. 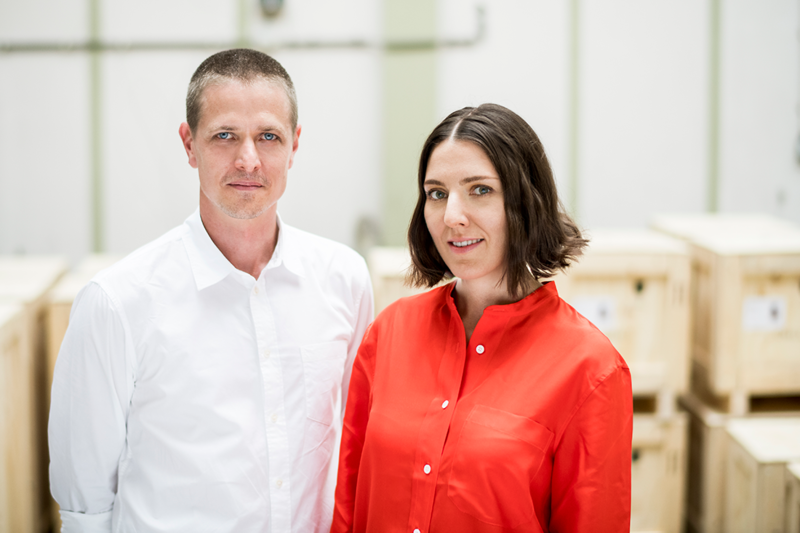 Australians Kate and Joel Booy founded their practice Studio Truly Truly in Rotterdam in 2014, and now the pair has been invited as the Guests of Honour at imm cologne 2019. 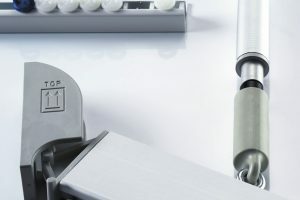 “Living by Moods” is the title given to their concept “Das Haus 2019”. The 180-square-metre simulated residential house in the Cologne exhibition halls will display the duo’s personal vision of contemporary living: a home almost without interior walls, with four zones merging into one another: Reclusive, Serene, Active and Reclining. Their aim is to create a living space that is flexible enough to support the changing rhythms of its residents’ lives and adapt to their needs as well as providing inspiring surroundings where they can interact away from the hectic pace and routine of daily life. Claudia Wanninger: You say that you’d like your concept for “Das Haus” to be a place for “inquisitive design”. Are you curious people, then? Joel: As designers, yes. We take the same approach that researchers do. In our designs, we often start with a material or a material property without knowing exactly where or to what form it will ultimately take us. For us, ‘Das Haus’ is a place where we can pose questions surrounding the topics of domestic living. What was the most exciting aspect of the project for you? Joel: As product designers, just being invited by imm cologne to participate in such a project was a challenge – after all, we’re not architects. We asked ourselves: if it were a product, how would we handle it? In the end, we took the same approach to the project as we take to everything: take a step back and view it from a perspective where anything is possible. So, was it a worthwhile challenge? Kate: Definitely. We had to think hard about how we want to live, what we expect from a home. By having the opportunity to see our design in relation to a space that we define ourselves, we are also seeing our products in a different light. Joel: It’s a great experience to be able to design both the room and the furniture, to think about how the sofa that would suit this house might look in a complete artistic concept. Render of ‘Das Haus’ for imm cologne installation. And what does “Das Haus” look like if you’ve designed it like a product? Joel: Even from the outside, it arouses curiosity. Textures and colours are very important to us. The house has a very distinctive exterior; its part closed, part open external frontage is made of fabric, which is intended to have an inviting effect. Joel: Well, I’m a big fan of Rietveld’s technique. But our primary inspiration comes from a material or from natural forces. We want to communicate something of the inherent beauty of these things and then combine this with the function. In nature, the beauty of a sunset is communicated without any assistance, but in design, you have to develop it first. 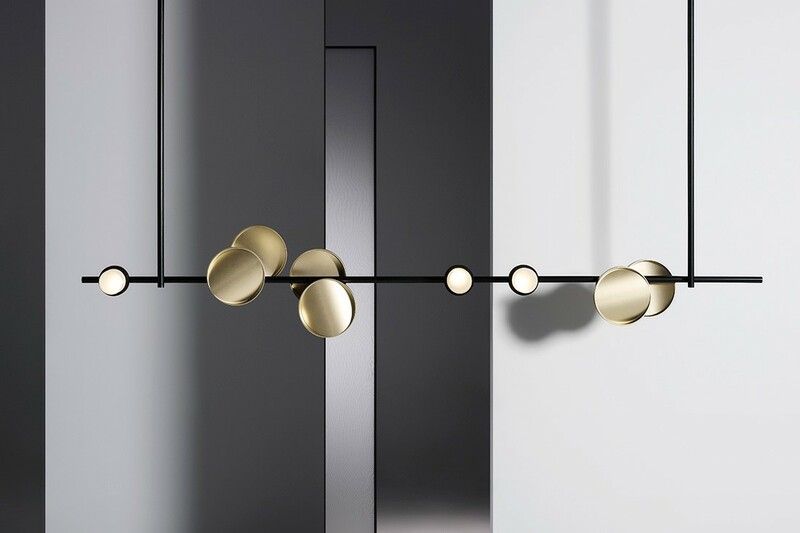 For instance, we chose the hanging system for our Levity lighting fixture so that it was possible to experience the flexibility of the material, namely through the effect of gravity. Kate: We always aim to make a material’s beauty visible – perhaps by contrasting it with other materials or by arranging for light to fall on it in an interesting way, bringing out certain characteristics. It’s a question of balance. We want to arouse curiosity about a material. And “Das Haus” should make visitors curious about possible environments for living. Joel: The rooms are not set in stone in terms of their boundaries or their functions. The furnishings are sometimes ambiguous too. 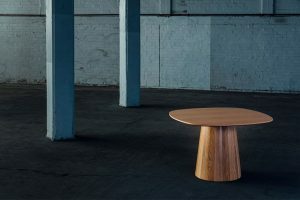 They aren’t tied to a particular “world” in terms of their form or position – are they tools for work, do they belong in the kitchen or perhaps to the seating area, which side do you sit on …? Kate: “Das Haus” provides a framework for interpretation. When entering the space, visitors might consider how it could be used in different ways – depending on the mood they’re in and what they want to do. The positioning and combination of furnishings are also ambiguous. For example, we’ll deliberately only position a handful of chairs at the large dining table, some being office chairs. This way, there’s room for spontaneous, varied activities. Joel: Our kitchen in “Das Haus” doesn’t look like a typical kitchen either – neither in terms of the individual modules nor the materials: a combination of stainless steel with gloss tiles. The bench that leads over to the reclining area is quite a low seat, but because it’s made of the same material as the kitchen units, it refers back to the kitchen. If you regard it as an abstract structure, everything merges together, it’s part of a bigger text that wants you to understand its ambiguities and cross-references. If it’s not the function that defines the room and its use, what is it? Joel: The atmosphere. We’ve created emotion-driven spaces. First of all, we designed this green, private area – it’s relatively small, has an austere geometric form if seen from above and is framed by walls made solely of plants. By replacing walls with curtains and fabric room dividers, you are creating a living format in “Das Haus” that is open almost all the way through. Is that the future? Kate: Even though we have an open-plan home ourselves, we don’t expect that people in the future will live exactly as we’ve imagined in our “Das Haus” living concept. 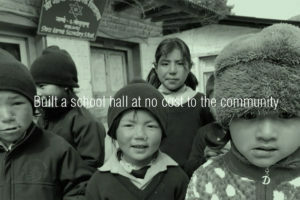 But we’ve explored some interesting ideas that have taken shape there. Joel: We notice that the breaking down of boundaries between private and public, leisure and work, intimacy and sociability is leading to new structures in the home. Our living concept is much more organic, more fluid. There’s not such a strict separation between living, working, sleeping and hanging out. Anything is potentially possible anywhere. You can choose the location and activity to suit your mood. Collage of proposed installation of “Das Haus” at imm cologne 2019. How do you aim to convey moods? Kate: Colours, materials and light are important. Your work has a reputation of often treading the line between art and design. 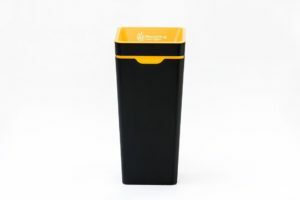 Joel: We focus on making a functional design, with the aim of injecting something special into it. Often this means we create something new which can be seen as more artistic because people haven’t seen it before. This is the line that we consciously tread carefully. Of course, art is also part of our lives, and so we’ve reflected this by incorporating art in “Das Haus”. How important to you are the materials in “Das Haus”? Joel: Materials and structure are closely connected in “Das Haus”. For the architecture, we aimed for simplification, and that’s why there are only three materials: the plants, the walls and the curtain. We balanced various materials and textures all the way through our interior to create certain atmospheres and moods. 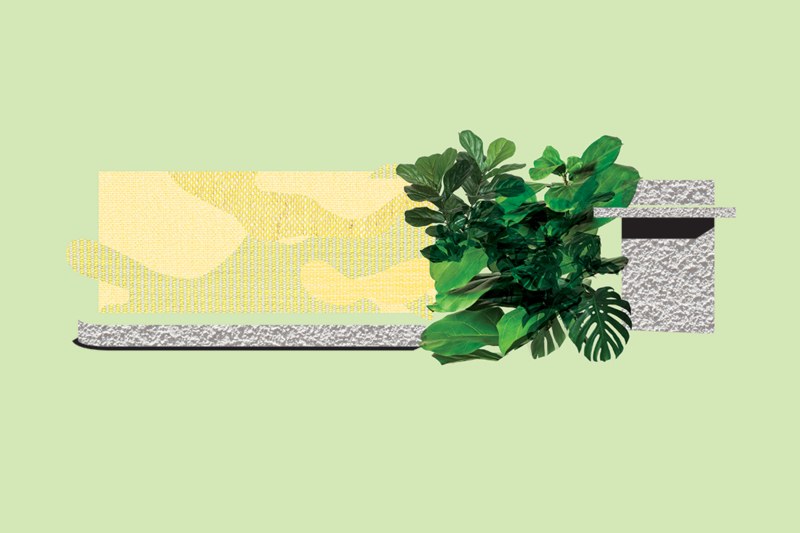 Kate: The curtain which we are creating together with Kvadrat, not only forms the outer wall and the window-like cut-outs, its colour and pattern also express the living concept that we’re realising for “Das Haus”. The textile is quite warm and tactile, and the camouflage-like pattern reflects the varied character of the space and the furnishings. It features a camouflage-type pattern. Is it supposed to conceal something? Joel: In this case, we use camouflage as more than just a concealment tactic. Our brains interpret the ambiguous nature of the pattern as a multitude of possibilities. Our eyes see things in it. Everything is everywhere at the same time, one thing merging organically into another. This makes the curtain a kind of symbol for our living expression: we are blurring the boundaries. Kate: Our way of living and our home lives are going through a period of change. People are no longer just sitting in front of the TV; people are using the spaces in their homes in different ways than in the past. We’ve designed the spaces in our Das Haus to be open for interpretation by the user. Joel: We’re also interested in providing a space to slow down – as a kind of counter-balance to the fast pace of life and external pressures that exist outside the home. As technology gets more and more efficient in many realms of our life, we welcome the idea of a living space that is an invitation to shift into a slower gear, to operate in a different rhythm. ‘Typography’ lighting system, designed by Studio Truly Truly for Rakumba. Kate: We like the idea of a house that gives us the feeling that we can take the time to enjoy various, every-day activities of home life – cooking, reading, taking care of plants. Life outside the home is marked by its hectic pace and efficient thinking – “Das Haus” conceives a counterpoint to this. Joel: We work anywhere today. You can take your laptop and sit at the table, on the bench, on the sofa … It’s not just about the multifunctionality of the space, the atmosphere that is offered in the rooms is more important. When you designed “Das Haus” for imm cologne 2019, were the differences between domestic culture in Europe and in your original home country of Australia also an issue for you? Kate: While Europe consists of many small, separate countries with unique traditions and characters, Australia is a large, young country with quite a uniform culture, but one that is very open to influences from all over the world. Joel: In Australia, it’s chiefly the scale of things that are completely different. Not just with regard to the home, but also the distances you live with. Here, everything is really close and within cycling distance, you can go everywhere. In Australia, every trip takes more time and effort, so certain things are less spontaneous. Kate: The rhythm is different too, and the houses are bigger, of course. Because of the weather, people typically spend more time outdoors, and it’s common to have a large garden behind the house where the children can kick a ball around. Personally, I really like the intimacy of the European lifestyle, because you have direct access to such a great diversity of cultural activities – that’s wonderful! 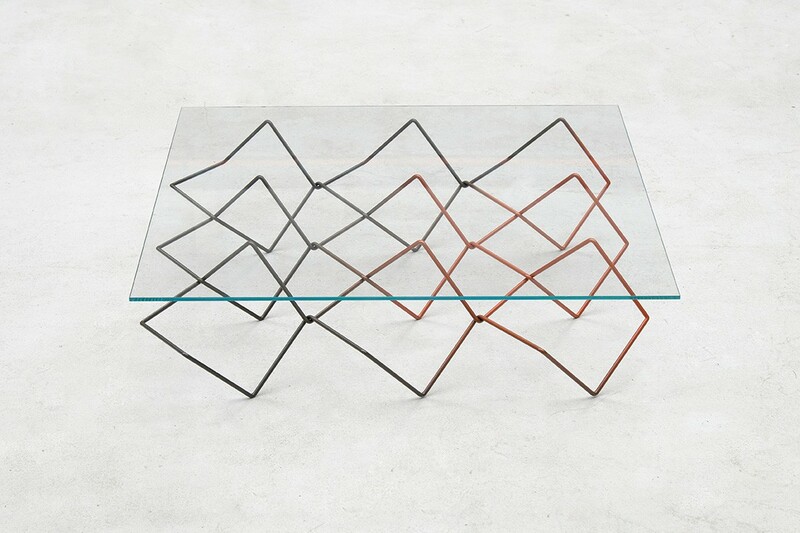 Seismic Table by Studio Truly Truly. Kate: It resulted from studying in Eindhoven. Rotterdam is a cool city, very contemporary. We felt at home here straightaway – the modern architecture, the multicultural influences: all of that reminds us of Australia. 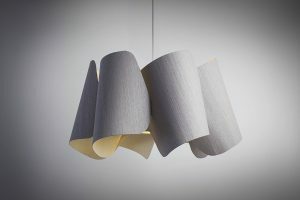 Joel and Kate Booy were recently back in Australia to showcase their new light designed with Rakumba, catch our interview with them here.